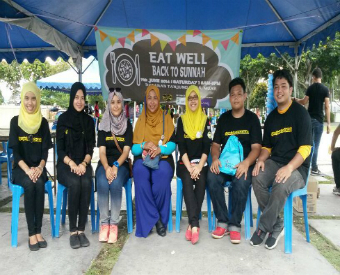 By Muhammad Zaini Mohd Zin MUAR -- Aiming to advocate the youth and public, Bachelor of Interpersonal Communication, Faculty of Communication and Media Studies, UiTM Shah Alam recently organised a 'Projek Advokasi, Hati ke Hati' program. 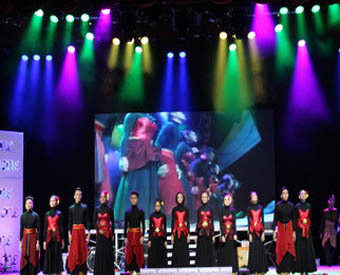 By Dharshini Ramesh SHAH ALAM -- University Technology MARA (UiTM) under its Faculty of Film, Theater and Animation has recently presented a selection of artistic works performed by its students in the appreciation of artistic values and creative technology. By John Bunyan Moses Kuala Lumpur – University of Malaya final year students majoring in the Performing Arts recently showcased a successfully adaptation of one of the works of a famous playwright as their year-end project. By Tengku Noor Shamsiah Tengku Abdullah SINGAPORE, June 17 (Bernama) -- Malaysian undergraduates who are studying Business, Engineering, Natural Sciences and Law picked Petronas as their Top 1 IDEAL Employer this year, while Google claimed the hearts of those from the Humanities and IT cohorts, according to a survey. KUALA LUMPUR -- The Ministry of Education (MOE) in collaboration with the Public Service Department (PSD) is conducting a studying on placement of administrative assistant in schools to assist teachers to focus entirely on teaching and learning in school. PETALING JAYA -- The National Education Blueprint for Higher Education 2015-2025 will be introduced later this year to improve the relevance of higher education in the context of globalisation. PENAMPANG, May 14 (Bernama) -- SME Bank on Wednesday fulfilled its pledge to fly the bank's Y-Biz Challenge 2013 winners, from Sekolah Menengah St Michael here, to Romania.